Our new solar tubes were installed this week! Not an exciting picture — but exciting results! 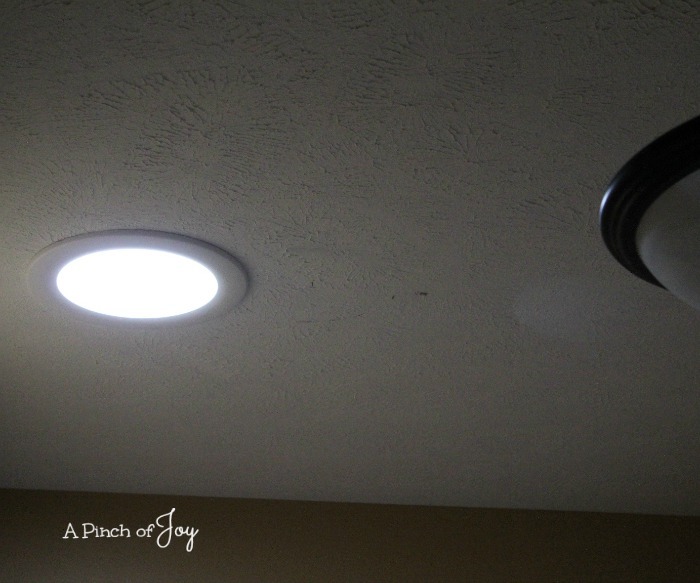 We had a solar tube in our previous house in a windowless bathroom and absolutely loved the natural light it brought into the very dark space. So when our roof was being replaced after the big hailstorm, we added two solar tubes to the process. This is what the solar tubes look like on the outside. (Don’t you love that new charcoal roof, too?!! After the roof and the installation of the exterior dome was finished, the workers came back later to complete the project. 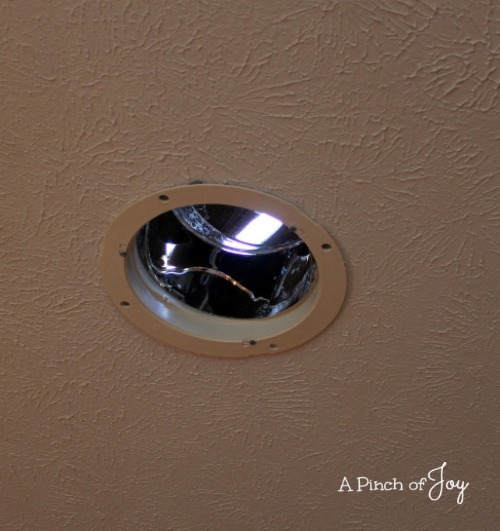 They opened a 10 inch circle (tubes also come in 14 inch diameter) in the ceiling and installed the rim. The roof has several angles and there are trusses going every which way so they had to work around them and make sure not to interfere with any electrical wiring or other utilities. Actually we originally wanted three solar tubes, but the third one would have been a “challenge” to install around the trusses so we decided not to do that one. Next the highly reflective mirror like tube is installed between the exterior dome and the interior rim. the light is channeled along the polished surface without losing any intensity. It is absolutely amazing how much light these ten inch tubes deliver — even on a cloudy day! The tube is somewhat flexible at the top and bottom so can be adjusted to accommodate different angles. It is weather tight. 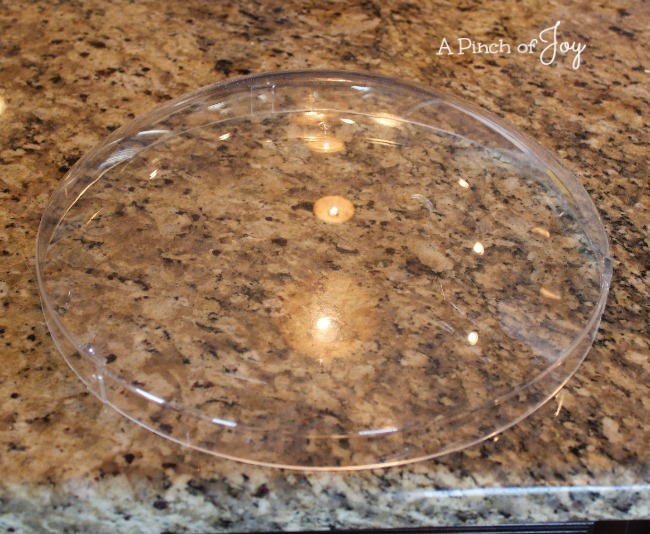 Our old one did not affect room temperature – we don’t expect these will either. A light diffuser and ring snap over the rim to give a finished look. This is the exterior cover before it was installed. Very simple components and simple but very efficient technology. The ancient Egyptians employed very similar methods for lighting. 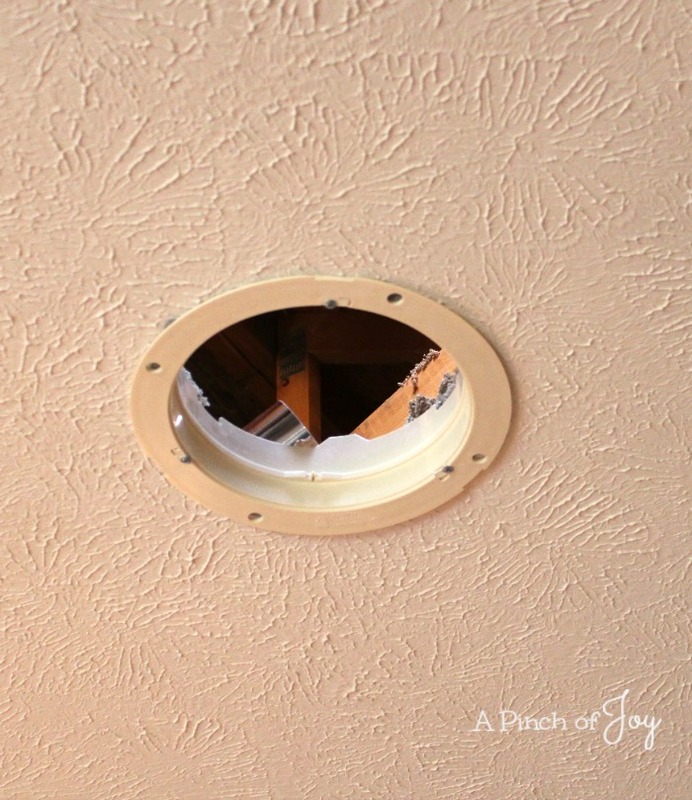 The brand in our previous house was SolaTube which had a “flatter” dome and fit closer to the roof. It was installed on a northern exposure and lasted through two roof installations with absolutely no problems. The brand just installed is Velux, which stands a little taller and is more noticeable, but because it is on a side roof that is not an issue. Finished installation in the windowless laundry room. (It’s actually further away from the light than it looks in the photo.) The light streaming into the room is great! It is bright enough to do laundry without touching a light switch! Carry in a full basket and no juggling to turn on the light switch. Switch loads from washer to dryer. No light switch. Fold clothes. No light switch. And if the switch doesn’t go on — no light burning all day because someone forgot to turn it off on the way out of the room. 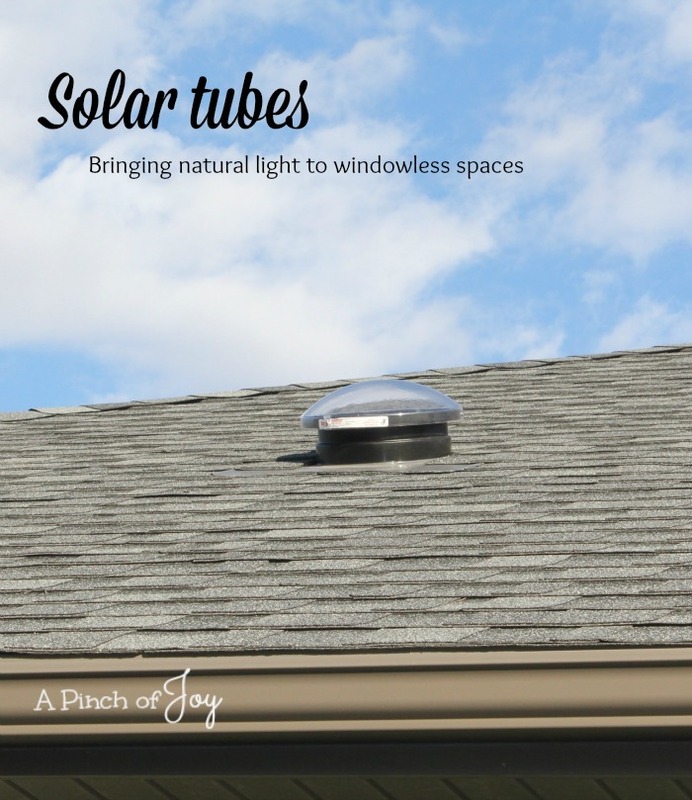 Another reason to love the solar tube — money saved! The other installation is in the middle of the kitchen. That room is not technically windowless as there is a big northern window in the adjacent dining area and a glass door to the deck that also opens to the kitchen. However, the prep, cooking and cleanup area was far enough from the windows so that lights were required all day long. Not any more! I walk into the kitchen and think, oops, forgot to turn off the light. No, it’s real daylight and no switch involved! It is bright enough that we no longer turn on lights in daylight! Love it!